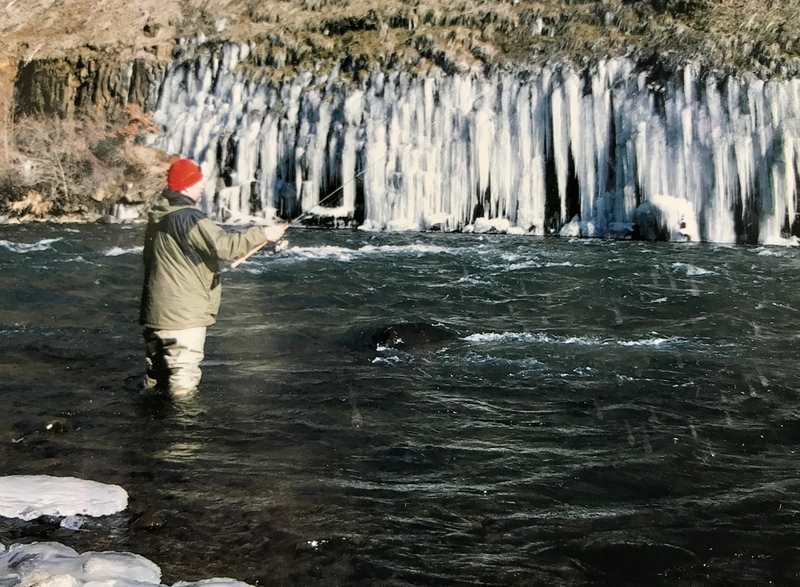 Some of the best winter whitefishing in South Central can be found in the Naches, the Tieton, the Yakima and the Klickitat Rivers. Depending on water flows and just how cold it has been, each can provide a whitefish angler with some exciting mid-winter fishing now through the month of February. If you’ve never fished for whitefish before, it is not terribly difficult. The gear literally can be as simple as a cane pole with monofilament tied to the end but trout rod and light spinning reel will do quite nicely. On the end of the line is tied at least one and usually two different whitefish flies. Then a maggot is tipped on the flies and the whole outfit is flung into the icy river. The flies will be the same but most good whitefish anglers carry a variety of them. Whitefish flies in brown, yellow, black and gray are the preferred colors and the sizes differ from the smallish #16’s to the medium-sized #12’s. Trying different colors and sizes when the fish aren’t biting is always good advice. A thin pencil bobber makes up the final part of the complete whitefishing rig. The bobber is almost a necessity in detecting the extremely light bites of the whitefish. A good angler watches his bobber intently on every drift and whenever the indicator makes even the slightest wobble he sets the hook. Placement of the bobber is also important. It should be set on the line so that the bottom fly is drifting just a few inches up off of the bottom. Whitefish are bottom feeders so you need to have the fly and maggot as close to the bottom as possible without getting hung up. To find a probable whitefish hole on any of these rivers, look for a drift that is at least three feet deep with not a lot of current. The best holes can be found below small rapids where the fish will hold waiting for food to be kicked lose. Some of the best holes on the Yakima are in the canyon between Yakima and Ellensburg, where access from Highway 821 makes it easy to get to several spots. 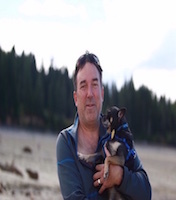 The same is true on the Naches River, where anglers work holes from the 16th Avenue exit right in Yakima, all the way up Highway 12/410 to Whistling’ Jacks Resort. And on the Tieton, Highway 12 runs along the river all the way from the elk feeding station to just below Rimrock Lake. Hole after hole present themselves along the highway. On the Klickitat, the best access is along Highway 142 from where the Little Klickitat dumps in on down to just below the town of Klickitat. Much of the land in that stretch is private, but there are areas where the river runs directly adjacent to the highway and there is access there. On all of these rivers, and especially on the Klickitat, don’t be surprised if when you bobber goes down the tug on the end of the line is thumb burning. Steelhead like to hit whitefish flies, and will do so occasionally. Just remember, retention of steelhead is not legal on any of those rivers at this time. 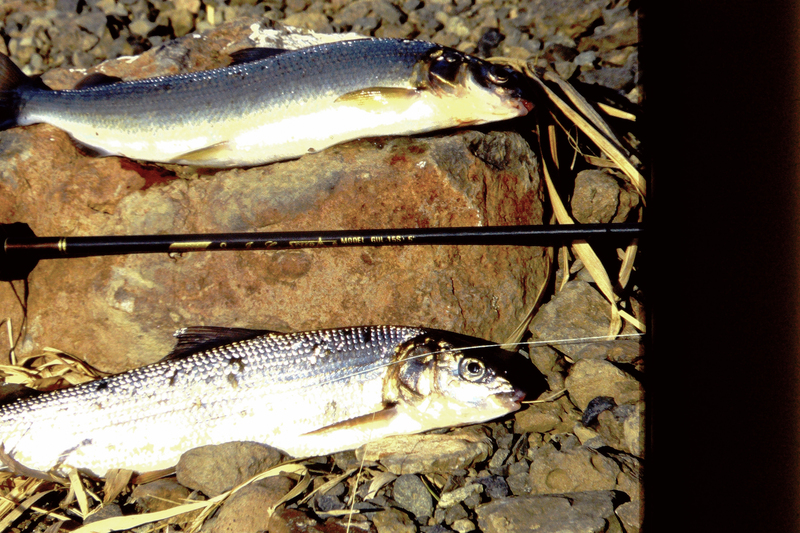 In most of the streams of Central Washington, the whitefish will average around 12-inches in length with some of the bigger fish growing slightly larger than 20-inches long. Whitefish run in schools and once you find where the fish are, stick with them, sooner or later they will go on the bite. When they do, it can be some of the quickest fishing of the year and there are times when it is a fish every cast. Even with a daily limit of 15 whitefish, it doesn’t take long to limit out when the fish are on the bite. Because of the temperatures, angling for whitefish is not for everyone but for those who can’t stand the thought of not fishing during the winter, whitefish offers a good fishing opportunity. So bundle up, grab your rod and reel, tie on a couple of whitefish flies and give it a go. Even though it’ll probably be below freezing, you could be in for the hottest fishing of the year! Thanks for the good read. This is one of those often over-looked species that I need to take a closer look at.